This colourway, dyed on British Suffolk wool, was inspired by Anna Jane Harrison, an organic chemist who focused her work on the structure of organic chemicals and their interactions with ultraviolet (UV) light, the waves lengths of light that are beyond the detectable range for human eyes. A professor of chemistry at Mount Holyoke College for many years, she was elected the first woman president of the American Chemical Society in 1978. In addition to her research, Dr. Harrison was renowned as an educator; as a professor at an all women's small liberal arts college, she was a role model and inspiration for following generations of female scientists. 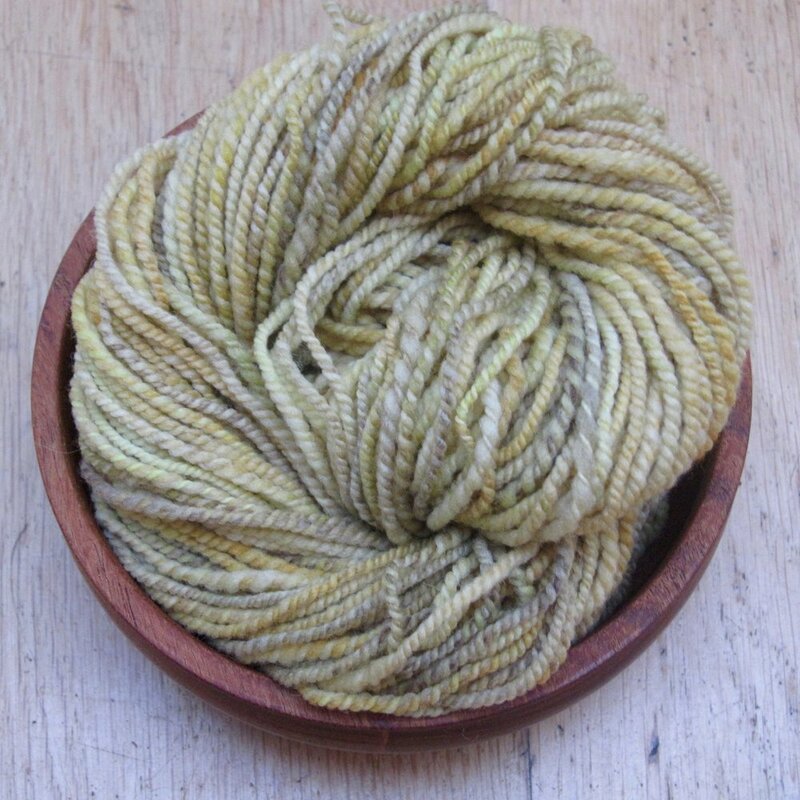 The colourway, though a variety of a semi-solid, actually took multiple dye baths to create. I wanted to capture the violet part of UV light but also include the fact that UV light is largely invisible or hidden from normal human sight. Purples and blues were first applied to the fibre and set, before adding black to the dyebath to hide the brilliance of the initial colours. The Suffolk base is a serious wool: crunchy and sturdy, perfect for hardwearing items. Fairly rough in top form, the fibre softens with spinning to create a strong, durable yarn that I'm planning to use for some textured socks. 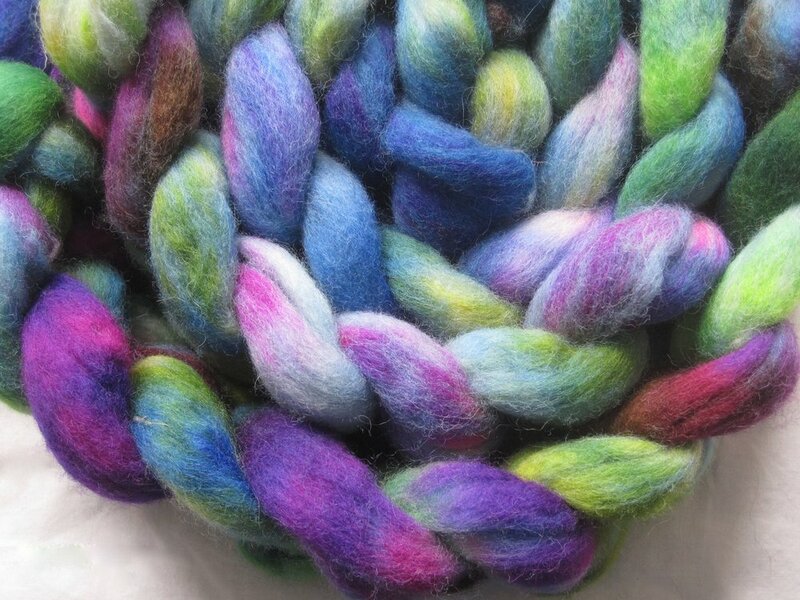 Come over to the Porpoise Fur Ravelry group to see how this fibre spins up, and share your own spinning photos!